From its humble origins as a few huts in a forbidding swamp, Brussels took more than a thousand years to become the capital of the Duchy of Brabant and then of Burgundy, and from 1830 the capital city of the new kingdom of Belgium. Today its name evokes European power politics and miniature cabbages, a world capital of beer, a paradise of chocolates and French fries. 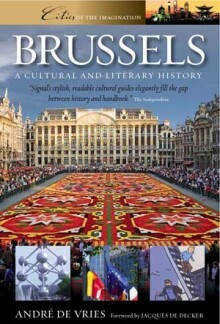 Yet Brussels, for all its reputation for bureaucracy and extravagance, is a city that has always been open to outsiders, to invaders and immigrants, always preserving its humanity. Architecturally rich and culturally diverse, Brussels defies its stereotypes. André de Vries explores a city and country in perpetual search of an identity, still showing the scars of the Counter-Reformation, peopled by the “Spaniards of the North”. He discovers a capital on the faultline between Latin and Germanic cultures, with its improbable hybrid languages. A place ruled by the spirit of zwanze “self-mockery and derision”, a city so down-to-earth they had to invent surrealism. THE CITY OF ARCHITECTURE: The home of Horta and Art Nouveau; the Grand-Place and the Atomium; the palaces of the European Commission; corrupt town planners and the joy of destruction. THE CITY OF EXILES AND VISITORS: Erasmus, Marx, Proudhon, Victor Hugo and Baudelaire; adventurers and soldiers; Byron, Wellington, Victor Serge and Alexandra David-Néel. THE CITY OF LITERATURE, ART AND MUSIC: Charlotte Brontë, W.H. Auden, Dos Passos and Huysmans; cartoon heroes; Tintin and the Smurfs; the artists Van der Weyden, Brueghel and Magritte; excess and energy; Jacques Brel, Johnny Hallyday and Toots Thielemans. André de Vries is a linguist, teacher and writer, with interests in oriental languages and the dialects of his native country, Belgium.